The honour of being the first to win Gold this year fell to first time exhibitor Maurcie O’Connor with his Irish Fancy, funny how he has never shown here before, Maurice went onto win 5 Gold,1 Silver and 2 Bronze so he had a very good first show. Geoff White won a Silver with his Irish, Another first time exhibitor with Norwich Ken Rix won a bronze medal, The lizard section was once again domained by Rob Bunting and Stan Bolton, Rob won 1 Gold, 1 Silver and 1 Bronze were as Stan won 2 Gold and 2 Sliver. First timer Les Evans was rewarded with a Bronze with his Lizards a very good achievement. In the fife section Gary Mann won a Gold and David Shelbourne won 1 Silver and 2 Bronze. 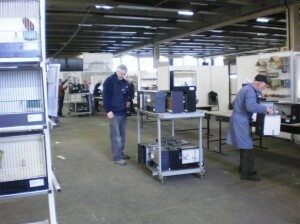 First time exhibitor Peter Young won 1 Gold and 1 Silver and Graham Lee won 1 Gold with his team of Diamond Sparrows. A Bronze was won by Colin Patterson. Rob Costellow another first time exhibitor won a Silver medal. Alan Robinson won 1 Gold, 2 Sliver and 1 Bronze. Rob Wright from the gloster section won 1 Silver and 1 Bronze medal. The affiliated society the CCBA members won a total of 7 Gold, 2 Silver and 2 Bronze. 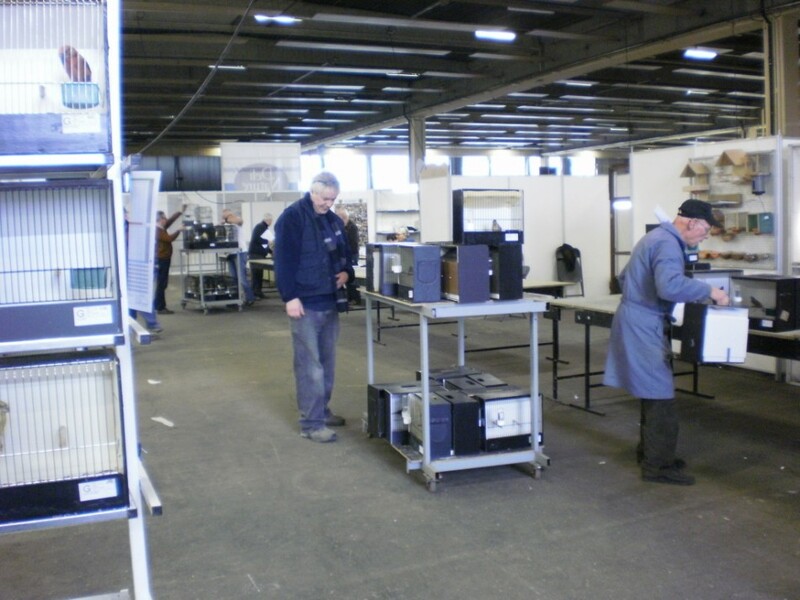 Over all a very good show which was once again a credit to the organisation team lead by Dirk Dumon. 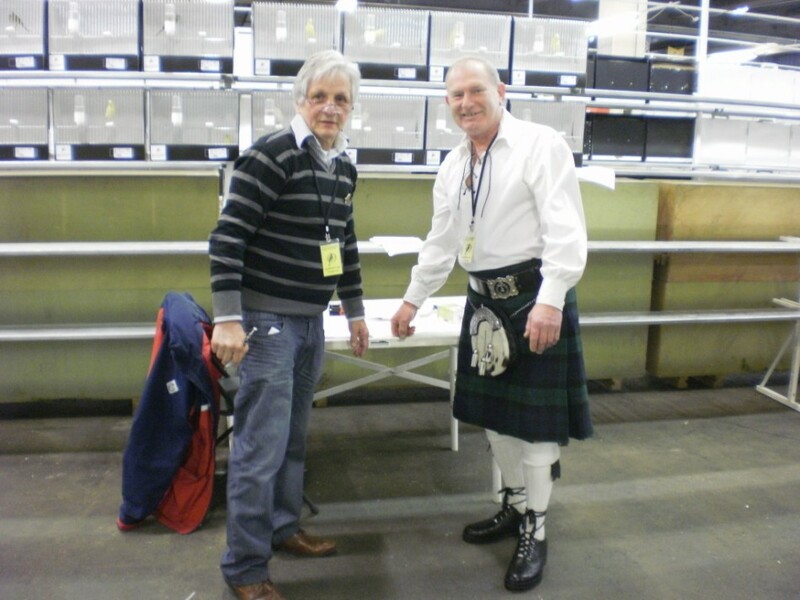 IOA-COM-UK member and OMJ judge Willie McKay from Scotland was one of this years judge’s who placed the awards. Another successful coach trip from the IOA to the show was done and a big thanks to the coach trip co-ordinator Gary Bridges who made sure everything ran smoothly. 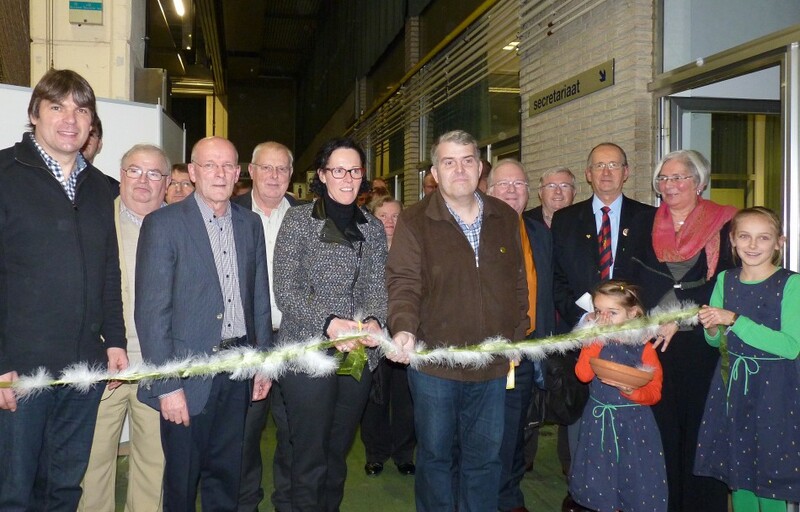 The 2014 Gouden Ring Show show will be held in the same venue is on the 6-7th Dec .
Alan Robinson at work with the show team. Judge’s Jos Vanoppen (Belgium) & Willie McKay (Scotland). 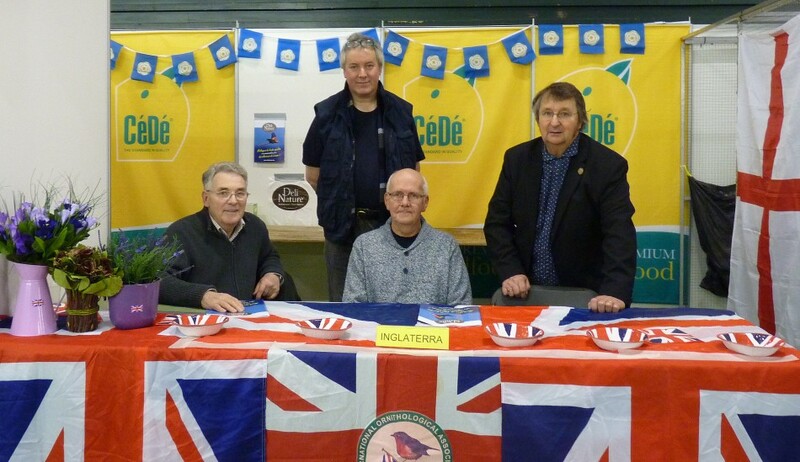 The 2013 IOA-COM-UK team for the 21st Gouden ring show.